15 So it was, when the angels had gone away from them into heaven, that the shepherds said to one another, “Let us now go to Bethlehem and see this thing that has come to pass, which the Lord has made known to us.” 16 And they came with haste and found Mary and Joseph, and the Babe lying in a manger. 17 Now when they had seen Him, they made widely[d] known the saying which was told them concerning this Child. 18 And all those who heard it marveled at those things which were told them by the shepherds. 19 But Mary kept all these things and pondered them in her heart. 20 Then the shepherds returned, glorifying and praising God for all the things that they had heard and seen, as it was told them. But the “First Christmas” was not so pretty. 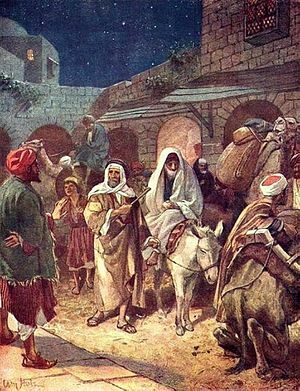 Joseph was taking Mary (who was VERY pregnant) to his home town of Bethlehem to be counted in the census. Now, I don’t know about you, but I find the census annoying and intrusive. We have to fill out a paper and give personal information. I’m sure it was intrusive for them as well. Also, there was “No room at the Inn.” No one had a bed for a pregnant woman. A pregnant teenager. An unmarried pregnant teenager. Finally, a kind soul lets Mary and Joseph stay in the BARN. It was a BARN. Not a pretty “creche” as we display, but a smelly, stinky BARN. Since there is nothing written to the contrary, Mary would have given birth in a barn, without help. That’s a very scary thing. For a woman to give birth to her first child, without any help from an experienced woman would be terrifying. Then there is the part that is skipped over. The part that no songs are written about. Herod ordered ALL male children under two years old to be killed. Since Herod knew that Jesus was to be a king, he ordered all the male babies killed so that he could make sure Jesus never grew up. Imagine that happening today: The government decides ALL male babies to be slaughtered. How heartbreaking! The Wise Men give Him gifts of Frankincense, Gold, and Myrrh. Frankincense was used to honor God, as the smoke of incense. Myrrh was used for embalming dead bodies. He was born to die. 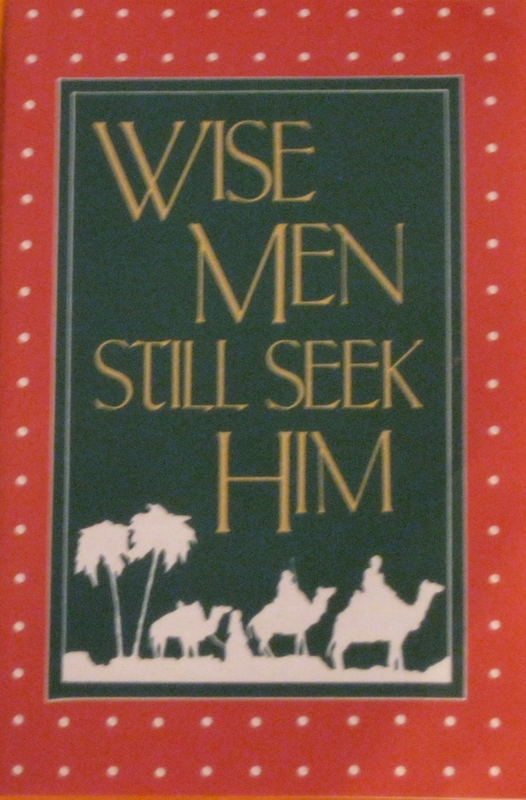 And so, let Wise Men and women still seek Him! we’re so good at prettying up the truth and in the midst of that, we lose all sense of the story. exactly. We lose the grittiness of what God did for us, that it did not come to us easily, and that it was a great price paid for us.